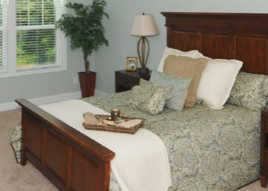 H&H Homes focused on expanding reach, building volume. When they founded the company in 1991, Ralph and Linda Huff never imagined that they would be building more than 450 homes in 70 plus communities throughout North and South Carolina. What they dreamed might be possible back then was that if their team worked hard enough to build the very best quality homes they could, met the needs of their buyer, and maximized value by building them as efficiently as possible; they might reach their goal to one day build 100 homes in the Fayetteville area. However, for those who know Ralph and Linda and the H&H Homes employees they hire and surround themselves with, the growth is not surprising. Today, Ralph and Linda Huff are recognized in North Carolina as business leaders, community leaders, and philanthropists, having built more than 4000 homes and many other commercial and multi-family developments. It is impossible to turn around in the Fayetteville area and not see the impact the Huffs have had on this community. Building and land development was not the original plan, Ralph simply wanted to help homeowners find a place they could call their own. As a young man, Ralph focused on real estate, selling homes for decades in the Fayetteville area to many of the 55 thousand soldiers and families stationed at nearby Fort Bragg. To him, he saw it as his responsibility to find the perfect home for so many of our nation’s heroes, who have to spend a great deal of time away from their loved ones. While he knew he could not do anything about the time they spent away, he could help them find the perfect home in which they could enjoy the time they did have to spend together. Working so closely with military families for almost two decades led to an awareness that a massive cadre of U.S. Army soldiers from nearby Fort Bragg would be entering the housing market upon returning home from the Persian Gulf conflict in the early 1990s, and there would not be enough homes for them to buy. He decided he would start a company to build the perfect homes for them. The company grew at a modest pace in and around the Fayetteville area during its ten years of operation, reaching 113 homes in 2002 by focusing on tract, custom homes and commercial buildings. 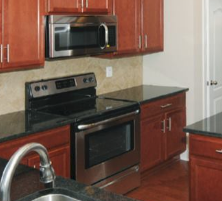 While the housing market faltered nationally for much of the company’s second decade, U.S. involvement in global conflicts and the enhanced importance of the Fort Bragg installation allowed H&H to maintain an annual rate of as many as 100-200 new homes. “What happens around military installations when there’s that kind of repeated deployment and redeployment home is that you’ve got a lot of soldiers who have had tax-free income and expendable income built up from savings and they’re ready to spend it,” said Jack Rostetter, Chief Executive Officer. While the intense military focus enabled the company to remain insulated from the worst impacts of the global recession, they understood that rising home costs kept the dream of home ownership out of reach for so many. So, the team got to work figuring out how they could further improve efficiencies to build a home with more value so that families could afford the space they needed. At the same time, H&H leadership saw need for non-military market diversification. Positive signals from markets like Raleigh and Wilmington and areas north pushed H&H to gradually extend its reach to more civilian communities like Goldsboro and Moore County, and their success prompted a creep into territories south of Jacksonville. In the last 18 months, full-scale moves – complete with storefront offices – have been made into Charlotte, Wilmington and Myrtle Beach, S.C. The prior rate of 80 or 90 percent military sales has been trimmed back to roughly 70 percent of the overall customer base, with the remaining 30 percent comprised of coastal families, retirees, a mix of families and retirees in Charlotte and a heavy presence of first-time owners in and around Raleigh. It is forecasted for that ratio to move from 70: 30 military and nonmilitary to 50 : 50 by 2016. Both Huff and Rostetter believe that Fayetteville will continue to produce the units that H&H has enjoyed over its history as the market has made its adjustments over the past two years and that the company now simply needs to grow within the markets where they have already established presence. “Every submarket has a little bit different dynamic,” Rostetter said. The company has a workforce of about 75, more than half of which is based in the corporate headquarters facility in Fayetteville. To build the very best home possible, the company leans on its core processes to deliver superior product and service. A core component of this process is a 20-page H&H training manual called GEMS – Great Expectation Management System that is given to agents and buyers at the start of the closing process. The manual was created to ensure that the buyer has an exceptional home buying experience through every step of the process. Heading forward, the corporate objectives is to continue expansion into new markets, while maintaining the same exceptional value and commitment to customer service that often falters during growth periods. Rostetter said, “A “clear path” is visible to 1,000 new homes per year as soon as 2017, as opposed to the 400 or 450 maximum that was possible when Fayetteville and Jacksonville were the most significant elements. Not to mention that a recovering economy will encourage buyers to invest in upgrades to the homes they buy”. Further expansion is being discussed into Jacksonville, Fla., too. 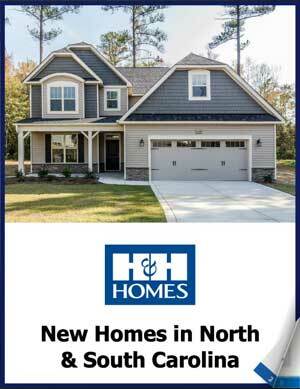 WHAT: Builder of new homes for sale in communities in Fayetteville, Jacksonville, Goldsboro, Raleigh, Pinehurst, Sunset Beach, Wilmington and Charlotte, N.C. and Myrtle Beach, S.C.
WHERE: Corporate headquarters in Fayetteville, N.C.